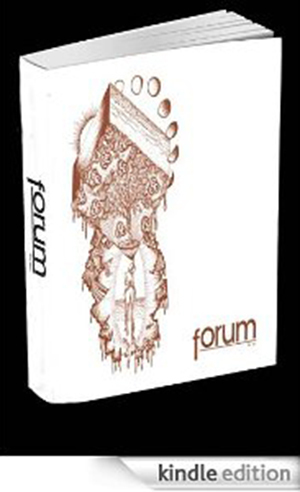 Looking for authors, poets, and visual artists for our Spring publication! 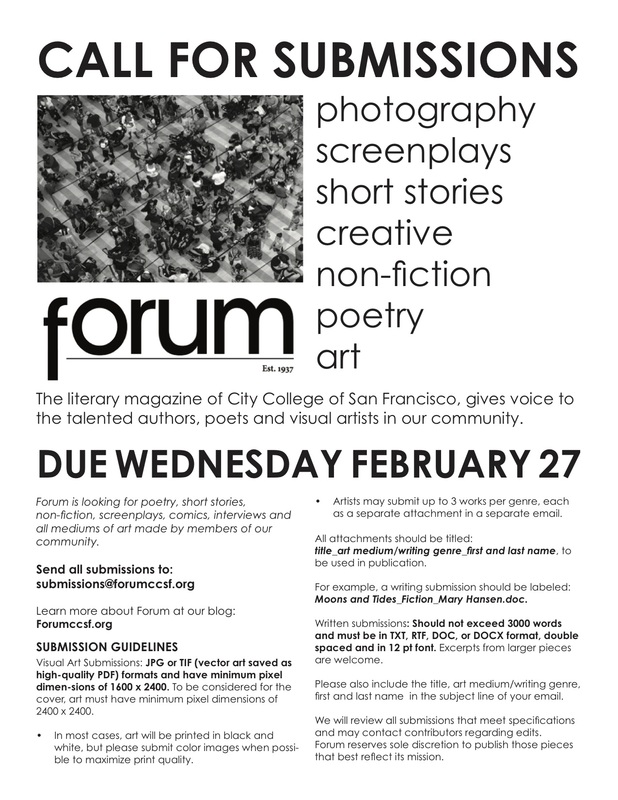 Open to all artists and writers in the Bay Area! Deadline: February 27, 2019. Submission guidelines here. Firsts are powerful. They’re seeds devouring the last of their nutrients to grow towards sunlight. They follow patterns laid out by the lines of the universe–a riot of roots that grow into flowers, the first thorn on a blackberry bush precisely placed, even when the thorn pierces a thumb. But firsts are deceptive. Energy undirected can kill. Split cells become cancerous. The Fair Folk devour firsts, are made of energy in potentia. Follow their promises on the lines laid out exactly and reap the benefits. Step off the path and never find your way home again. This is why humans are such fascinating creatures. Potential energy is converted to action, breaking patterns and putting them back together. Creative energy is the peculiar synthesis of habit and creation. Beneath the bark of our defenses, the fae, like mistletoe, seem young and soft but are deadly and pointed towards the heart. In the earliest memories, all you knew was the pair of iron shears hung with red ribbon above your crib, a mobile that you watched turn in air currents. And then you closed your eyes and slept. This is what happened the first time you met a fairy. You were six, and finally allowed to sit on your own horse at the Golden Gate Park Carousel. Your hands were sticky from the bar of pink popcorn your mothers bought, and you left fingerprints on the mane of your caramel-colored horse. The only things you knew about fairies were what you learned from Peter Pan, and even then you knew better than to believe technicolor lies. The horse was one of the ones that didn’t move, so you could watch the dingy carousel glass and line of children waiting for their turn without getting sick and falling off. Somewhere on the third rotation, you saw, in a space between older children, something broken with glassine skin and wings that sputtered and flapped at the wrong angles. With the bravery of a small child, you climbed down from your horse. Probably it was a good thing that the carousel was coming to a stop then, because even now you’re not sure you wouldn’t have just taken a leap of faith off the platform. Maybe your mothers called to you, but you had eyes for cotton candy blue dandelion hair and wings with edges that stuck out at 90 degree angles but somehow still managed to fly just far enough ahead of you that you had to run a little to catch up across the expanse of pavement. It settled beneath a tree, the sweep of dirt and grass extending out to lap at the edge of the sidewalk. When your mothers swept you into their arms, two steps into the span of dirt and just before the line of flat-capped yellow mushrooms curved into an uneven oval, the fairy hissed and bared silver needle fangs. It sounded too loud, as though you’d left the sounds of shrieking kids at the carousel far away. At school the next day, the wind whipped your hair into knots so tight your mothers had to cut them out, and the scrape on your leg from where you fell off the swings looked like a hemicircle of too sharp teeth. The iron nail sat beside your backpack the next day and, though your mothers never said anything, you pocketed it and hugged them both. Ted Herzberg is the photographer of The Quarterback and St. Slim. He has had a long history with City College. In the late ’70’s Ted took life drawing classes at Fort Mason and in the mid-90’s an acrylic painting class there. He has taken ti chi classes at the main college and on 18th St. at various times. He took senior computer classes at the Oakdale campus about ten years ago. Ted also appeared as Trotsky in the musical Frida and Diego in the Diego Rivera Theatre. The last classes Ted took at the main campus was a semester of Cantonese about seven years ago.